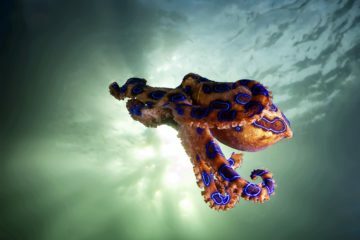 Are you planning a diving vacation in May? This is a great month to go diving in the Pacific and Indian Oceans, as well as much of the Caribbean. To help you on your way, here is a list of the best liveaboard destinations to go in May. The South Pacific enjoys warm waters and a reprieve from the rain in May. Farther up north, Socorro is calm and sunny, while Malpelo enjoys similarly good conditions and warm waters. It’s the hot season over in the Caribbean, and Sipadan is also warm and dry. Diving conditions in the Indian Ocean are at their best. Several hundred miles off the coast of the Baja Peninsula, Socorro Island is one of the best places to dive with pelagics. Advanced divers will be in heaven in the volcanic underwater landscapes which are teeming with manta rays, sharks and turtles. Diving in this recently appointed UNESCO site is only possible with a Socorro liveaboard. May is the last month of diving season in Socorro, when conditions are at their best. This means calm waters and sunny days with only a little rain. May is also a good time to see manta rays and whale sharks. Be aware that this is high season for tourism in Mexico; try to book ahead for the best deals. Diving at Malpelo is an experience you won’t forget. This protected UNESCO World Heritage Site is famous for its shark diving, especially hammerheads and silky sharks. It’s a good idea to get nitrox-certified before your trip so you can hang out in the deep water and wait for the sharks to appear. This secluded island off the coast of Panama is only accessible with a Malpelo liveaboard. Diving at Malpelo is great all year round, but the best conditions and warmest waters are found between April and September. Only a limited number of divers is allowed here each day so this is your best chance to see sharks in their natural habitat. The isolated islands of Papua New Guinea are home to some incredible uncrowded dive sites. 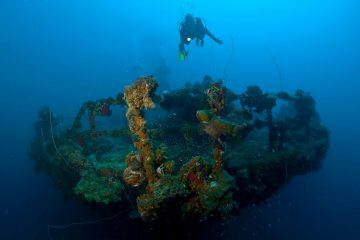 Divers will find something for everyone here, from pelagics to World War II wrecks and amazing coral reefs. With a Papua New Guinea liveaboard you’ll have the chance to explore everything the area has to offer. May is a good time to dive the Bismarck Sea and the Solomon Sea. This includes many great sites such as Kavieng, Kimbe Bay, Rabaul, Madang, Tufi and Milne Bay, the birthplace of muck diving. Papua New Guinea also boasts fascinating streams of flashlight fish, which appear for lucky divers on night dives. Perhaps even more remote than Papua New Guinea are the Solomon Islands, just a little to the east. With scarcely any tourism to the islands, the dive sites have remained pristine and unspoiled. Go muck diving, wreck diving, cave diving or even diving with crocodiles with a Solomon Islands liveaboard. Monsoon season in the Solomon Islands ends in April. This means May is the first month of good diving conditions in the Solomon Islands, with warm weather and little rain. Water temperatures stay fairly constant all year round and May has warm water averaging between 84 and 86° F (29 and 30° C). Fiji has made a commitment to protect its marine environment and the country’s dive scene is suitable for all levels. Pelagics weave through the rocky seascapes and colorful macro critters hide in the sheltered lagoons of this volcanic archipelago. Whether you’re an advanced diver or just getting started, you’re sure to find the perfect Fiji liveaboard. May strikes a nice balance between weather and marine life in Fiji. The rainy season is just ending but with any luck you’ll still be able to see manta rays and whale sharks. Water is calm during this time and measures a balmy 82 to 86° F (28 to 30° C). One of North America’s favorite holiday destinations, the Bahamas are no less fascinating under the water. Beginners will appreciate the many shallow dive sites with their shipwrecks and stunning coral reefs. For advanced divers, there is cave diving as well as blue holes if you dare! See it all with a Bahamas liveaboard. May is the last month to see oceanic whitetip sharks in the Bahamas before hurricane season starts in June. This month is also hot and sunny, and it’s high season so consider booking ahead. Water temperatures during this shoulder season range from around 73 to 77° F (23 to 25° C). Discover the tropical coral reefs which are the final resting place for more than a few unlucky ships – the Cayman Islands were right on the pirate route! Nearby, catch a glimpse of prowling hammerheads next to steep walls that drop off into the blue. It’s all within your reach with a Cayman Islands liveaboard! May is the beginning of the rainy, hot season in the Cayman Islands. However, showers here rarely last long and shouldn’t be an issue for diving. On the bright side, the water is warm and you’ll spot sea turtles and huge schools of reef fish. The Cayman Islands are known for having exceptional visibility. Situated in the Coral Triangle, Sipadan enjoys an unbelievably high rate of marine biodiversity and varied underwater terrain. The well-preserved dive sites only allow a certain number of divers every day. A Sipadan liveaboard is the easiest way to ensure you’ll be one of them! 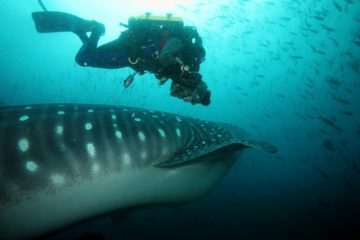 May boasts warm waters and a chance to see leopard sharks in Sipadan. Weather is usually dry during this time. Sipadan is currently working on expanding its voluntourism offerings, a fact that might be interesting to divers looking to help protect this extraordinary marine environment. Bright fish juxtaposed against the famous Seychelles black granite welcome divers to this underwater mecca. Divers here will have the privilege of seeing pelagics, wrecks and macro life, not to mention the resident population of Aldabra tortoises. Getting around these far-flung islands is easiest with a Seychelles liveaboard. In May, the Seychelles enjoy calm, warm waters and fantastic visibility. 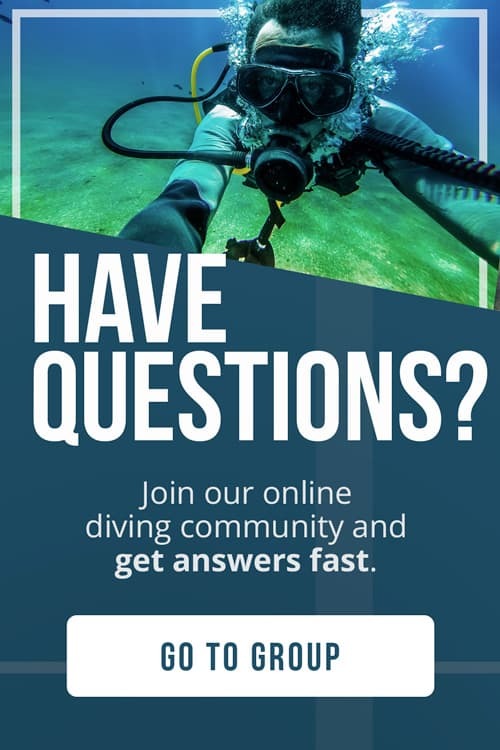 Although currents depend more on the dive site than on the season, surface conditions are best during the spring and fall. 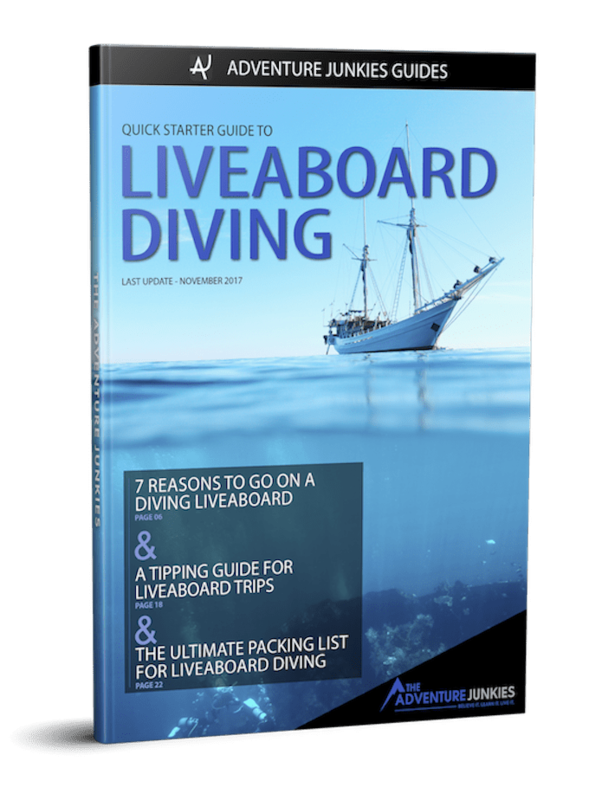 This means liveaboards departing in May have access to a wide range of dive sites. 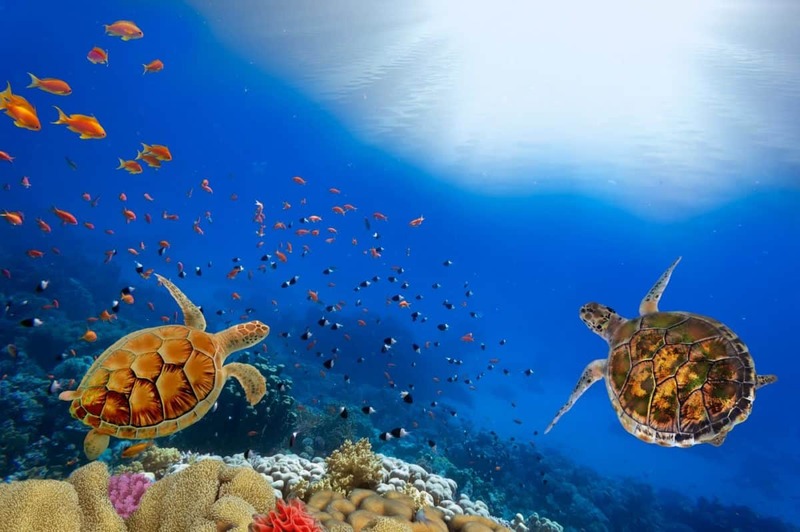 The Seychelles are in the process of restoring their coral reef system so diving should be even better in years to come! You’ll find some truly superb dive sites at this tropical Indian Ocean archipelago. Located right on the equator, the Maldives contain no end of coral atolls with caves, wrecks and pelagics galore. Book a Maldives liveaboard to take advantage of your diving trip before this country sinks! Divers who have the chance to go to the Maldives in May are in luck. This is the very end of the dry monsoon season, which brings optimal diving conditions. Manta rays and whale sharks come for the plankton-rich waters.